Pet Sematary — 2019; Directed by Kevin Kölsch and Dennis Widmyer; Starring Jason Clarke, Amy Seimetz, Jeté Laurence and John Lithgow. Adaptations of Stephen King novels and short stories have been happening since 1976, when Sissy Spacek first went psycho prom queen in King’s first official novel, Carrie. Since then, there have been some super highs (The Shawshank Redemption, Stand By Me, The Shining, It and Misery), some incredibly low lows (Needful Things anyone? No thanks! ), and a few remakes and sequels that aren’t necessarily good, but aren’t necessarily bad. Pet Sematary, the story of a man who discovers a way to bring things back to life, sat closer to the Needful Things end of the King adaptation spectrum. 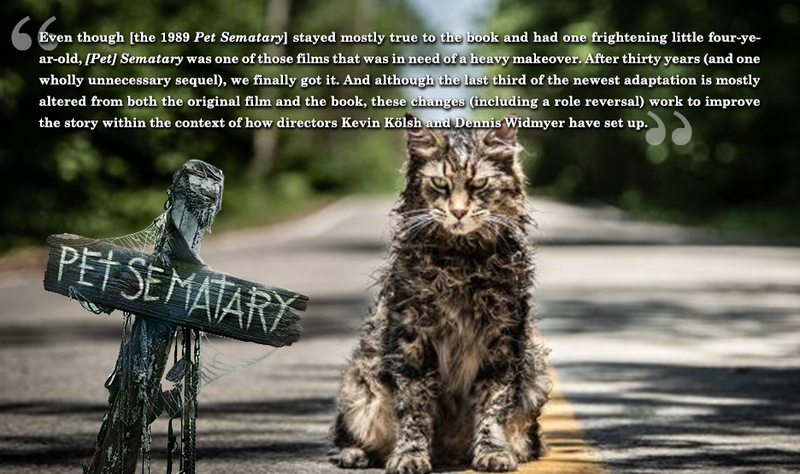 Even though it stayed mostly true to the book and had one frightening little four-year-old, Sematary was one of those films that was in need of a heavy makeover. After thirty years (and one wholly unnecessary sequel), we finally got it. And although the last third of the newest adaptation is mostly altered from both the original film and the book, these changes (including a role reversal) work to improve the story within the context of how directors Kevin Kölsh and Dennis Widmyer have set up. Over the past few years, we’ve seen a handful of live-action remakes of some of Disney’s classic animated films. Some have been almost shot-for-shot recreations (Beauty and the Beast) and some have diverted a little from the source material (Cinderella, The Jungle Book) to offer a fresh look on the story. Each one has found success at the box office, which means only one thing — more. And we are about to get it. 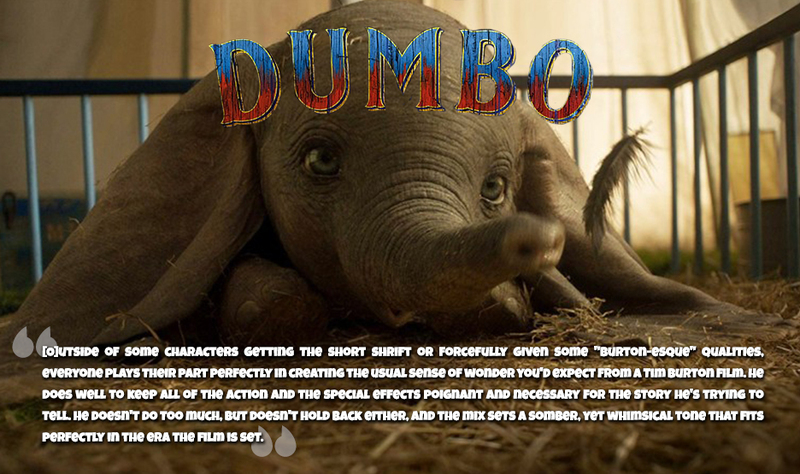 The first of three new live-action remakes that will hit theaters in the next four months is Dumbo, which turns the simple story of an elephant learning to fly into a loving portrait of the importance of family and how anyone has the ability to spread their wings and fly. 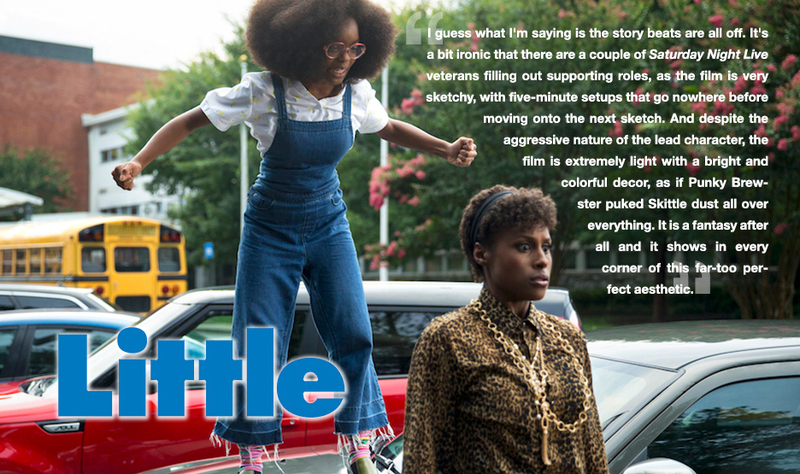 What makes a good twist in a film? When every piece is placed perfectly throughout the film so that it comes out of nowhere, but upon repeat viewings, makes perfect sense, leading you to wonder why you didn’t see it coming in the first place. What makes a bad twist in a film? When everything is so blatantly obvious, the film is so bland you have nothing better to do than to piece everything together, or upon repeat viewings, it makes no logical sense. A pair of new films with different goals do their best to create the most compelling story that ends with a killer twist, but end up flawed because of how the rest of the movie was set up. 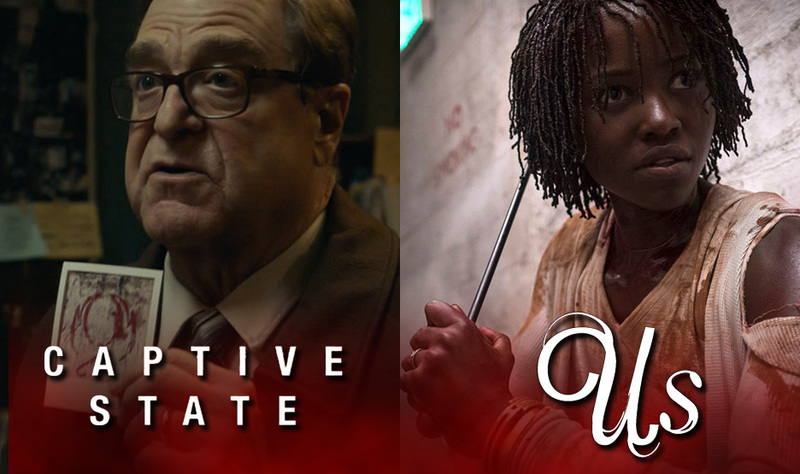 Captive State, a new alien invasion film, falls short of captivating your senses but ends with a bang, and Us, Jordan Peele’s new psychological thriller, treads somewhere in the gray, where although the film itself is rather intriguing, when the twist occurs, you have to scratch your head and wonder if what’s being revealed makes any sense. You know what you’ll be getting before even purchasing a ticket to a film about cancer or terminal illness. There will be plenty of discussions concerning the illness itself and how it affects everyone around it; there will be plenty of jokes about having the illness; there will be a death of a pivotal character that will help someone in the film find some sort of truth; the third act will be, in a lot of ways, bittersweet; and there will be lots of tears from the viewing audience. Five Feet Apart doesn’t back away from any of these tropes, but it still manages to build upon them in a creative way that the film doesn’t feel so much like just another teen cancer movie, but a song for life and the need we all have for companionship, love and family. It’s been 11 years since Marvel began their journey of creating one of the most lucrative cinematic universes in film history. Through those many years, there’s been some major highs (Iron Man hitting big, Captain America: Winter Soldier changing the game, Guardians of the Galaxy proving little-known titles could also score big, Black Panther nominated for a best picture Oscar, and securing a deal with Sony for the rights to include Spider-Man) as well as a few stumbling blocks (director controversies; Thor: The Dark World), but even the most mediocre film in their arsenal is better than sitting through Suicide Squad. 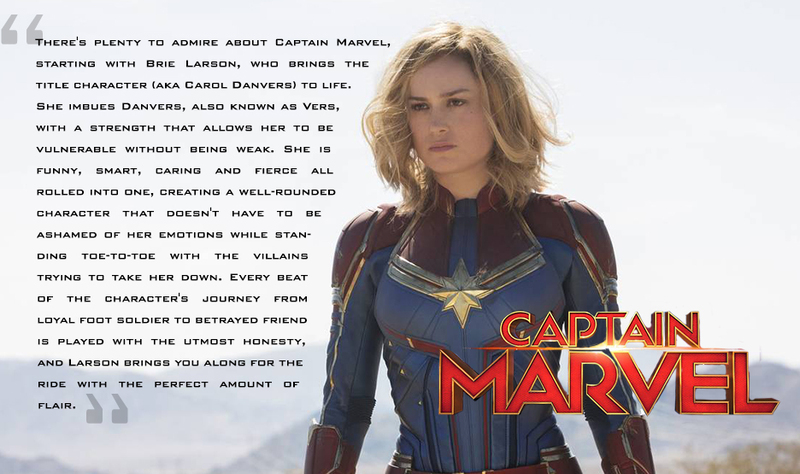 So, it’s a bit hard to talk about Marvel’s newest entry, Captain Marvel, not because it’s bad, but because it comes off a little flat in comparison to the majority of the Marvel Cinematic Universe. Chloë Grace Moretz is a terrific actress. There is no disputing that. 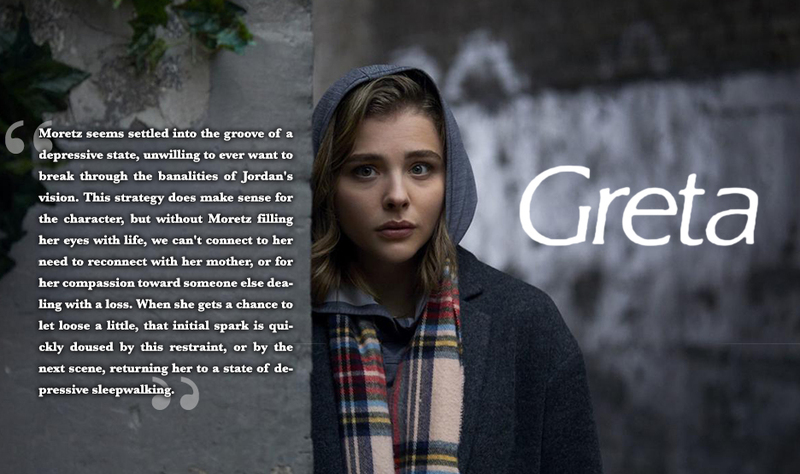 However, with the release of Greta, the new thriller in which she stars as the focus of a lonely, mentally-unstable stalker named Greta (Isabelle Huppert), I’m starting to believe that she is not suited to be a star. By this I mean, Moretz is much more powerful as a character actor, someone who is more suited to be part of an ensemble, or support others as opposed to standing in the spotlight. The 91st Academy Awards air tonight, and if there’s one thing this crop of nominees doesn’t have over previous telecasts is a clear Favourite. While trying to stay away from controversy, they drop there their host faster than a Black Panther attacking its prey, and wind up with more questions than a Blackkklansman. Trying to Bohemian Rhapsody their way out, they come off like power-hungry Vices, treating their viewers like Roma. At least they didn’t go as far as creating their own Green Book of categories that may or may not be televised. For most viewers, this year’s telecast isn’t about whether A Star Is Born, it’s finding out how insane the telecast will end up. 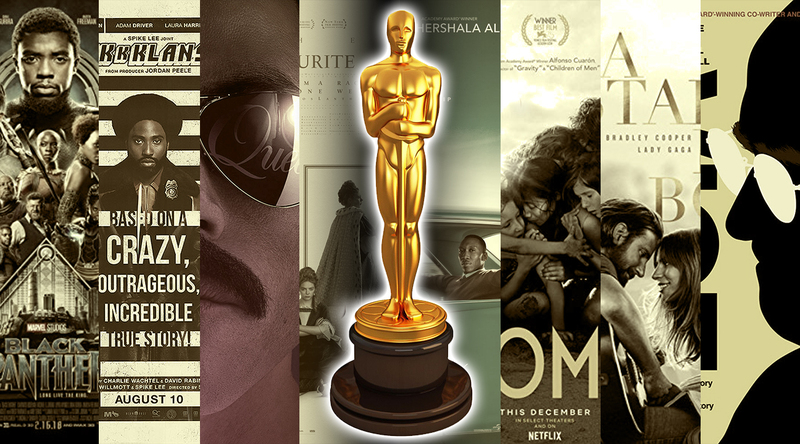 In other words, with all of the madness that surrounded the Oscar telecast this year, it’s hard to know who will come out as winners, but, as usual, I’m going to give it a shot, along with giving out a few special categories I created myself to highlight those moments in film that otherwise got overlooked. 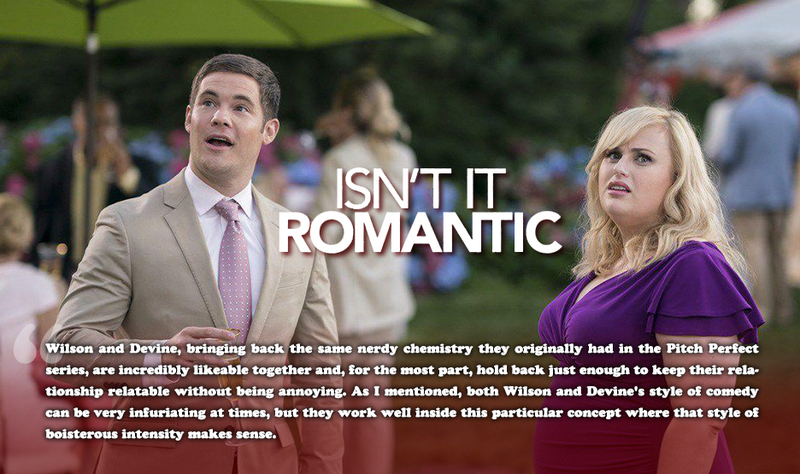 Much like Adam Devine’s character in Isn’t It Romantic, I’m a sucker for romantic comedies. From You’ve Got Mail to any early 2000 rom-com starring Matthew McConaughey, there’s something about the genre that I find delightfully fun and whimsical. As they mention in this new meta-update to the genre, which takes as much joy in making fun of films in the genre as it does creating one, the ideas that romantic comedies present may be highly idealized and horribly out of touch with reality — but that’s where the joy comes in, as we all can dream of having the perfect romance play out before our eyes. Way back in 2008, Liam Neeson did what very few actors over the age of fifty are capable of doing — after crafting a healthy career in dramatic leading roles, Neeson became a legitimate action star with a particular set of skills. 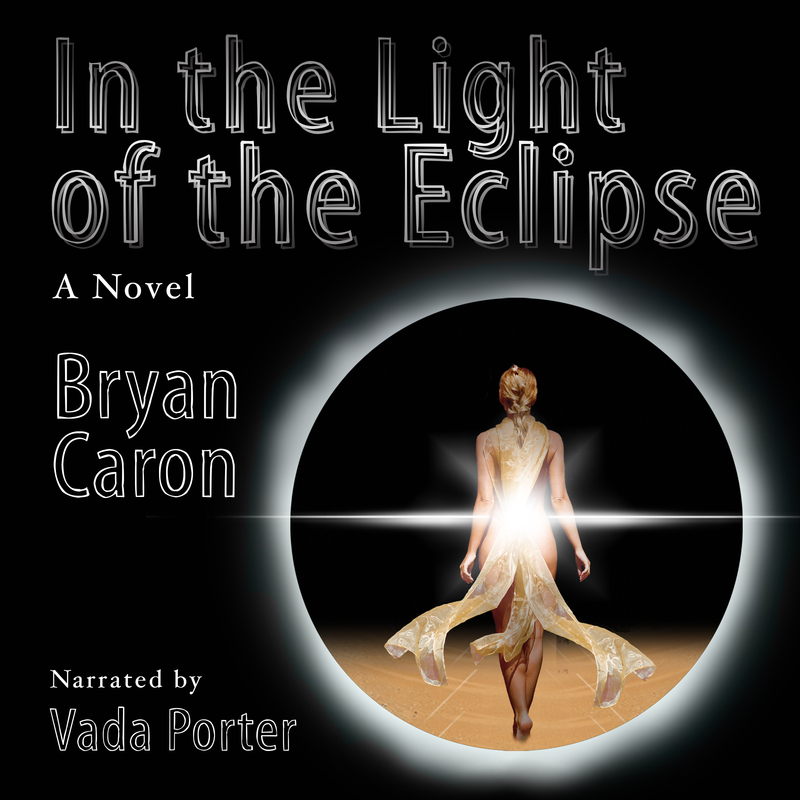 He had been steadily moving in that direction for a few years prior (with roles in Star Wars: Episode I: The Phantom Menace and Batman Begins), but it wasn’t until Bryan Mills first sought vengeance on those who kidnapped his daughter that he was able to move away from the “stoic mentor” and parlay his path into a tremendous new audience that wholly embraced him as an action icon. The only question was, how long would it last before Neeson (and audiences) got burned out? 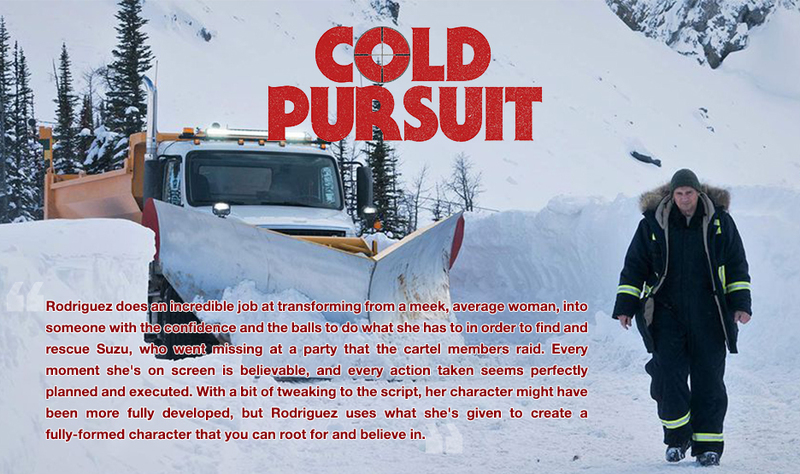 With Cold Pursuit opening this weekend, we finally have our answer, as I don’t know if I have ever before seen a movie so bored with its star, its premise, or itself.